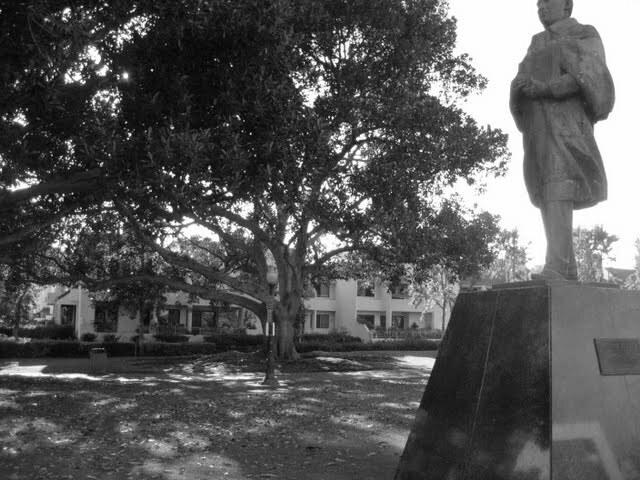 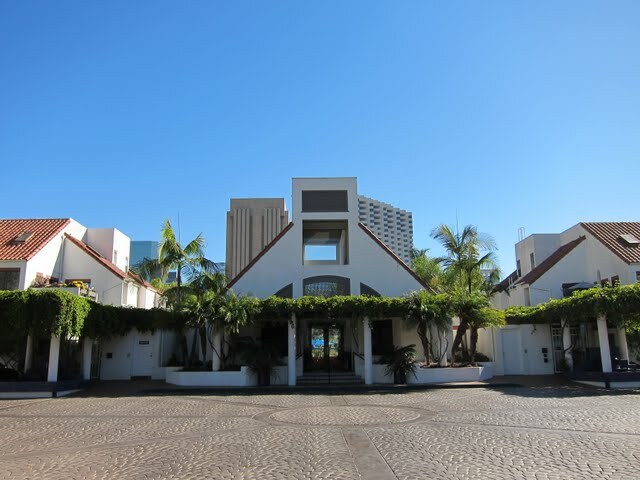 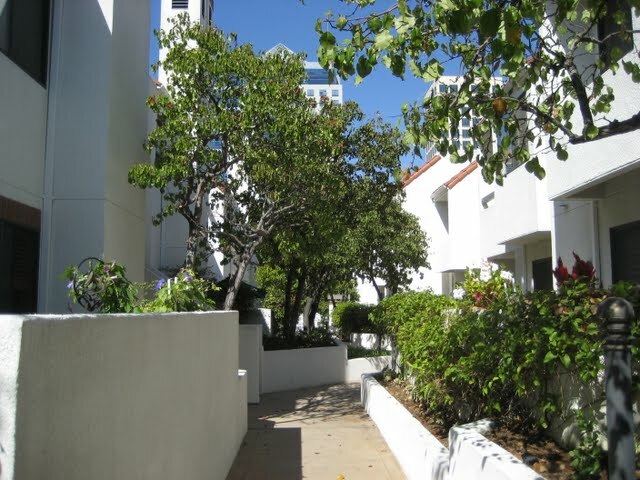 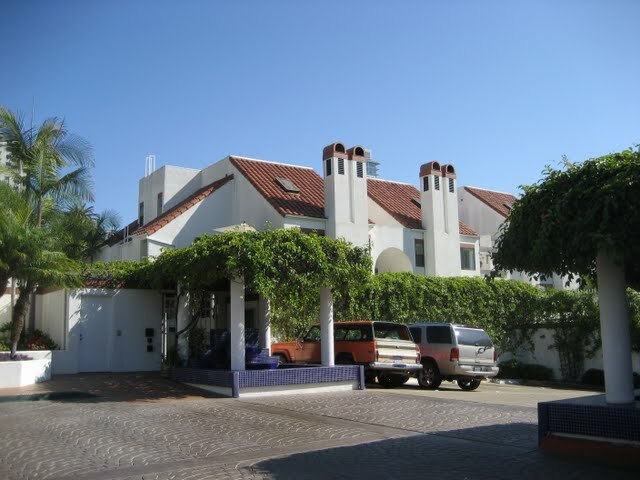 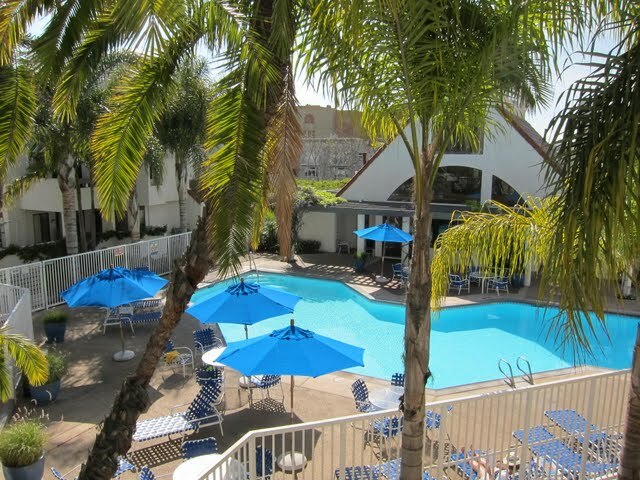 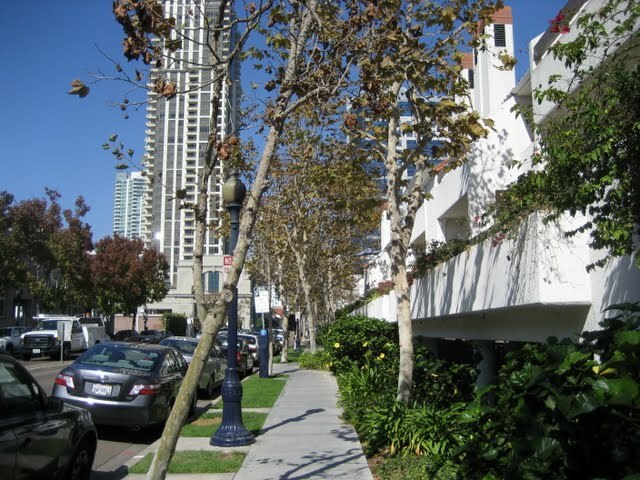 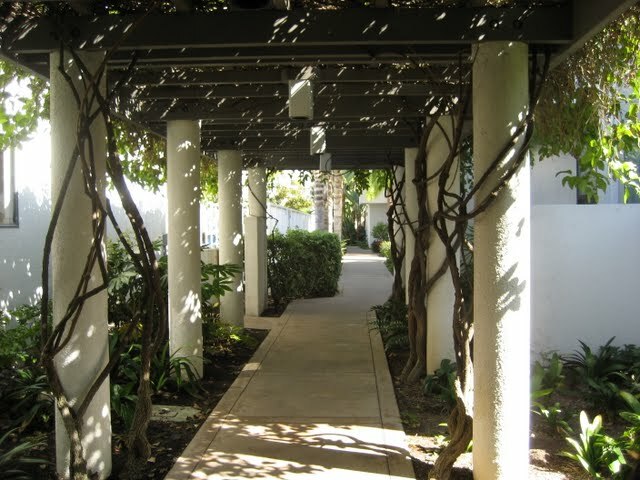 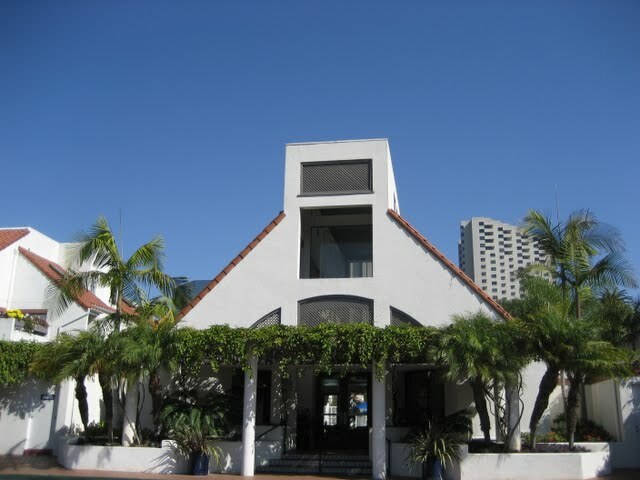 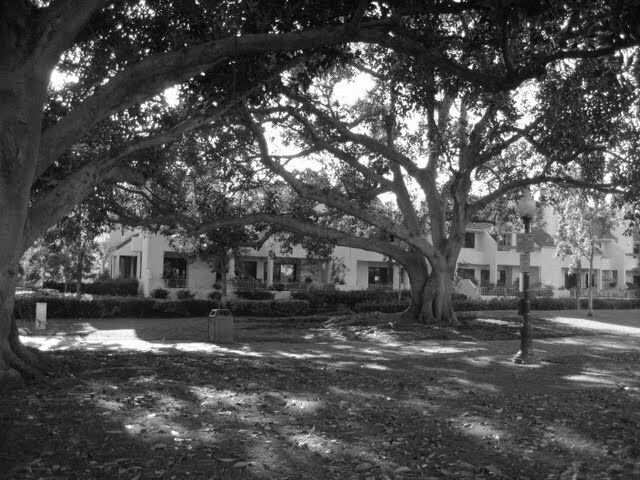 Wrapped around the north and west sides of Pantoja Park in the Marina District neighborhood of downtown San Diego, Park Row is a low-rise condo community that feels like a resort. 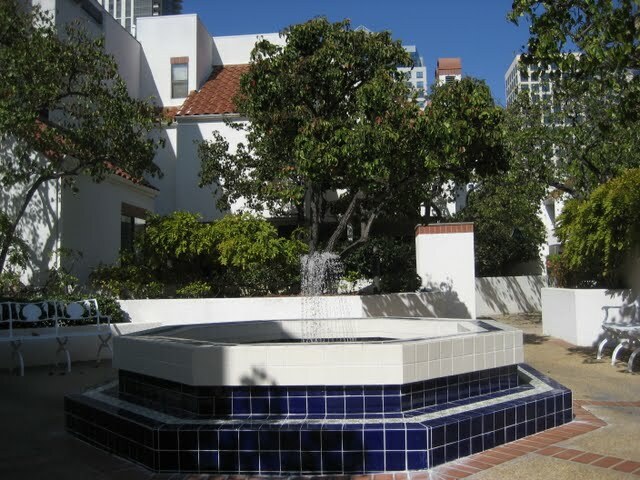 The often maze-like landscaped courtyards and fountains almost make you forget you’re in the big city when walking the grounds of Park Row’s condos. 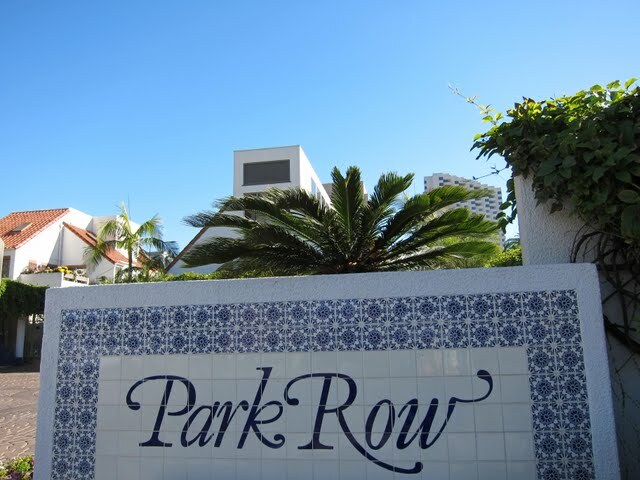 The abundant guest parking, 24-hour security, and low HOA dues all make the Spanish/Mediterranean environs of Park Row a great place to call home. 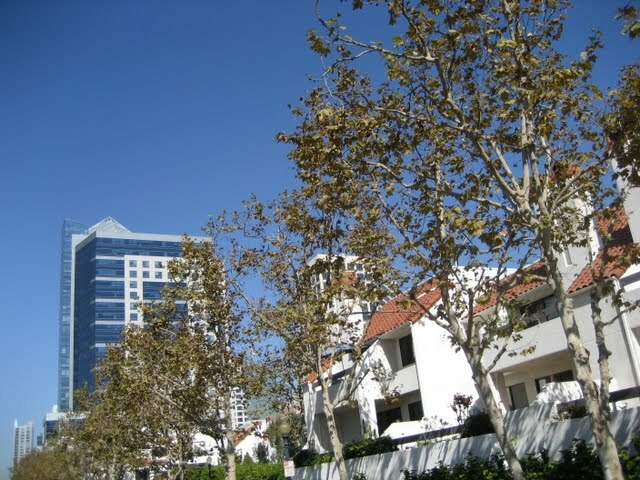 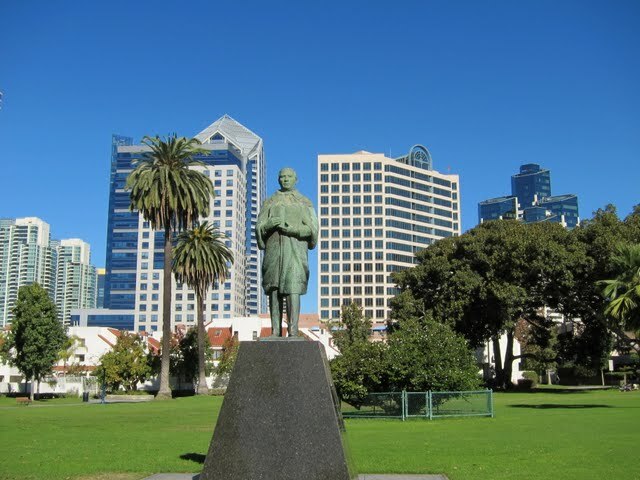 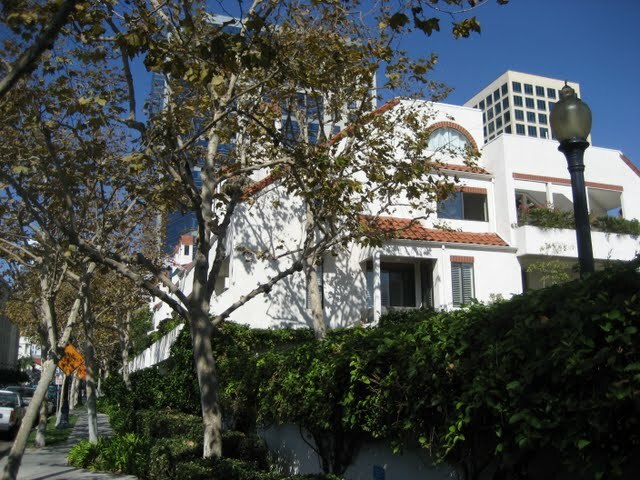 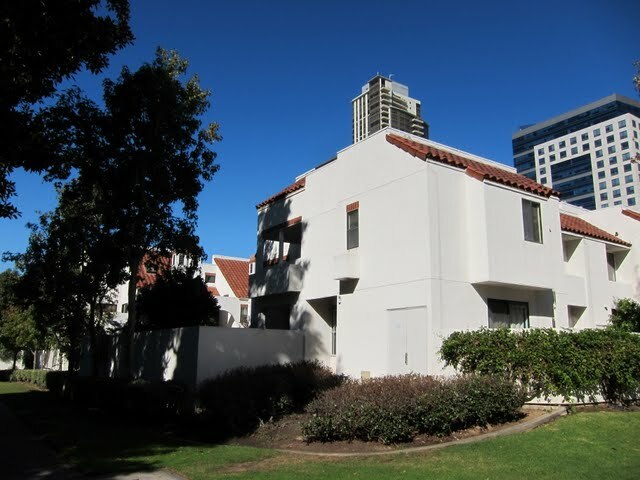 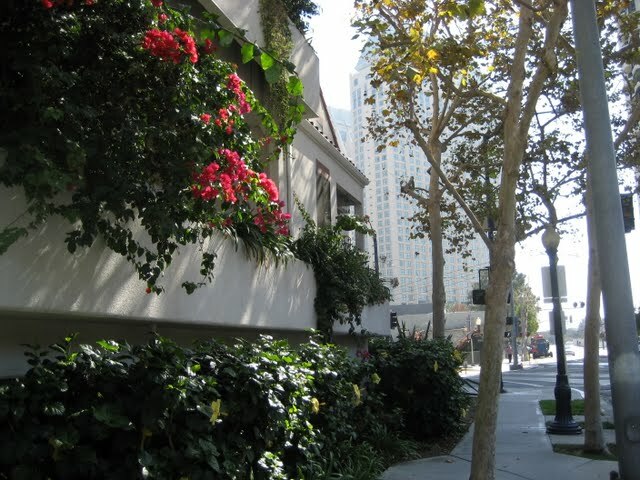 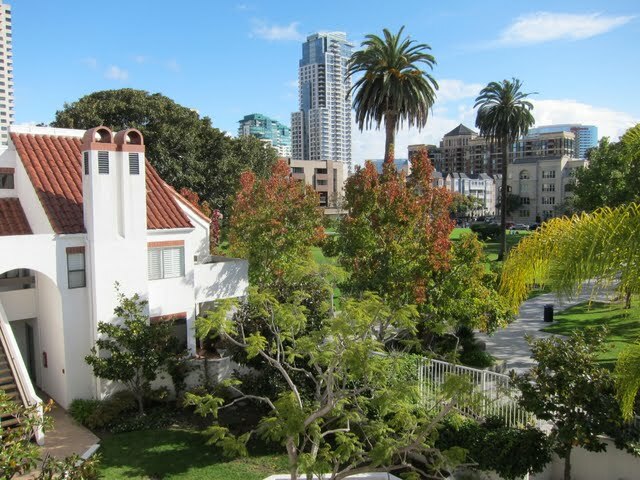 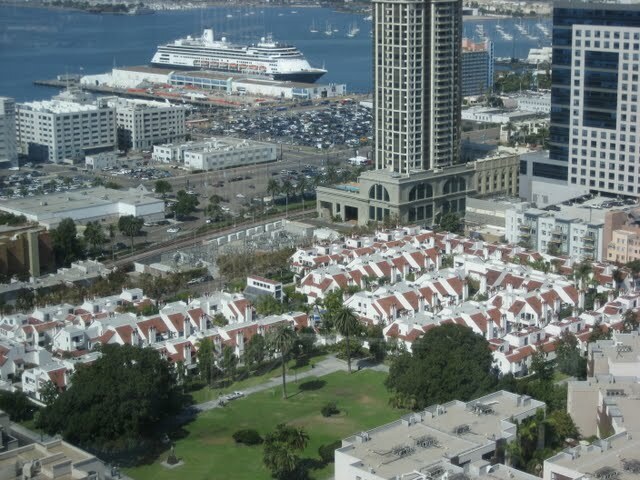 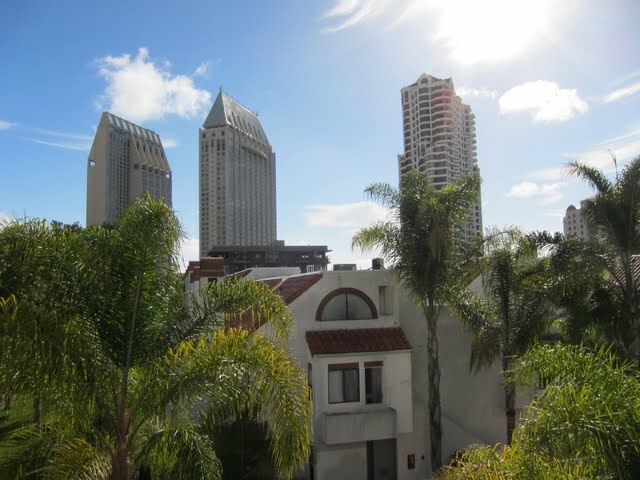 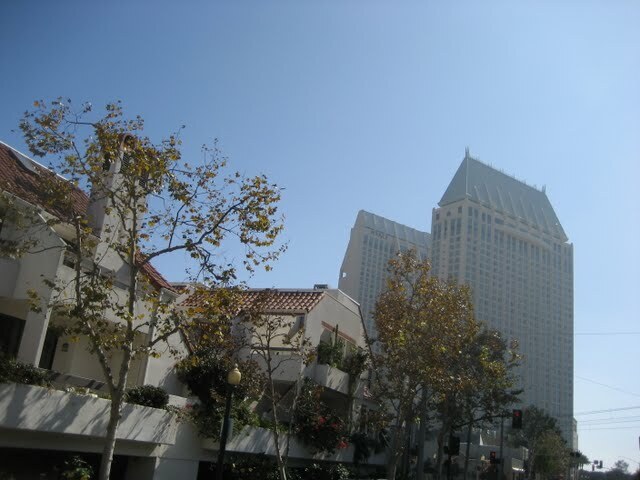 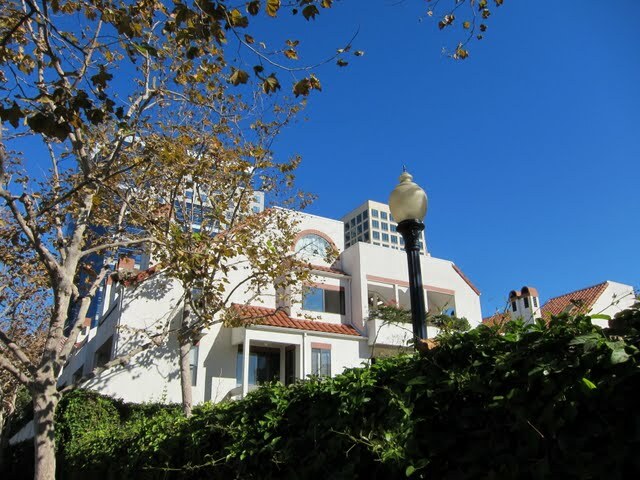 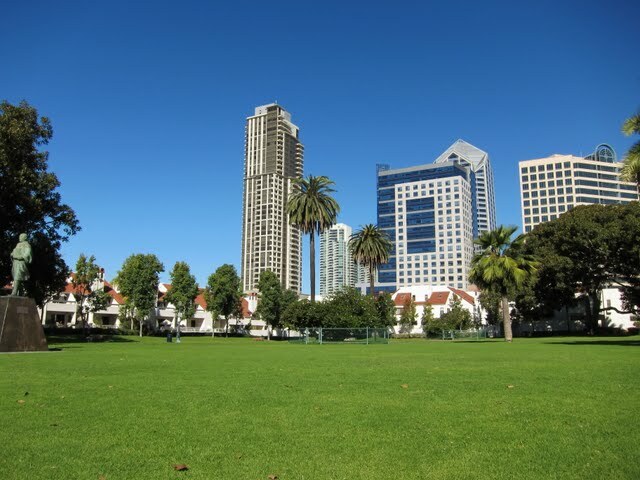 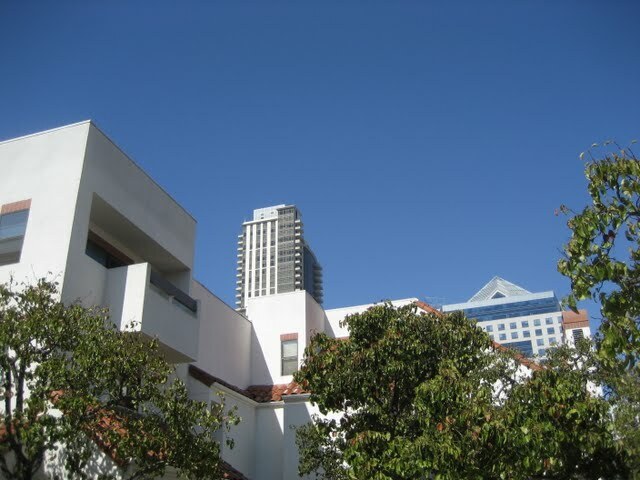 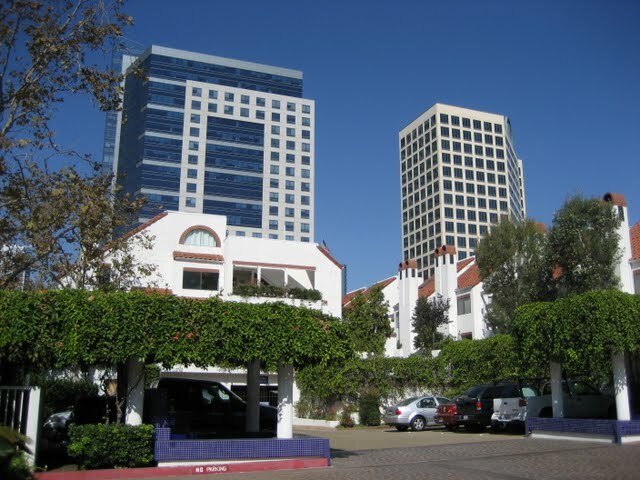 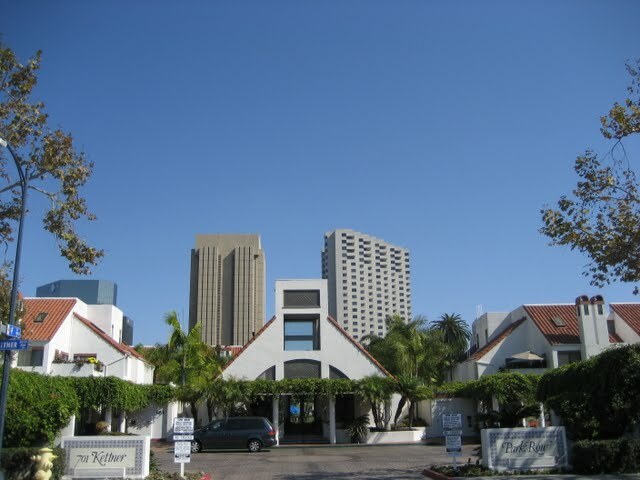 Park Row’s convenient location makes it a quick walk to the Embarcadero/Seaport Village, Ralph’s grocery store, the Gaslamp Quarter, and the Santa Fe Depot train station. 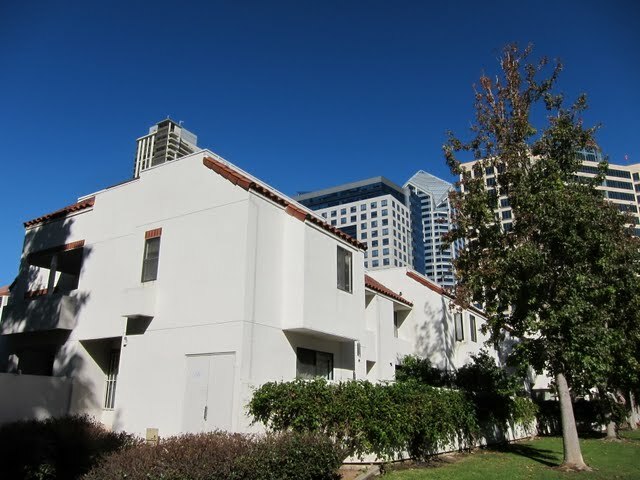 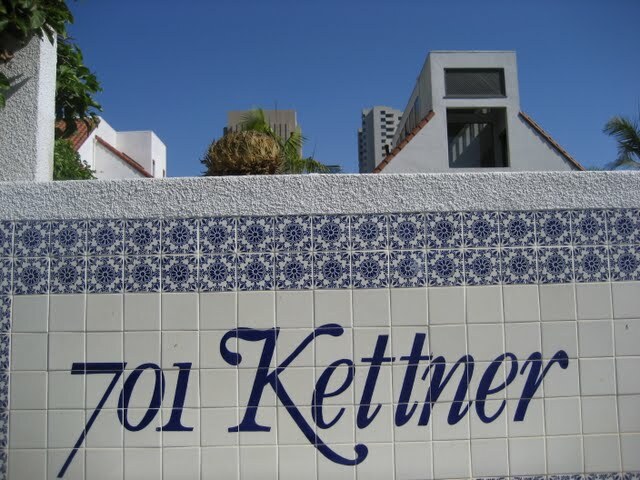 Floorplans: 6 different floorplans: (1) The Granada – one bedroom (473 estimated square feet (“esf”)); (2) The Ramona – one bedroom (606 esf); (3) The Balboa – one bedroom with an optional loft (761 to 973 esf); (4) The Valencia – one bedroom with an optional loft (782 to 1078 esf); (5) The Cabrillo – two bedrooms plus an optional loft (1083 to 1295 esf); and (6) The Juarez – two bedrooms (1072 to 1327 esf). 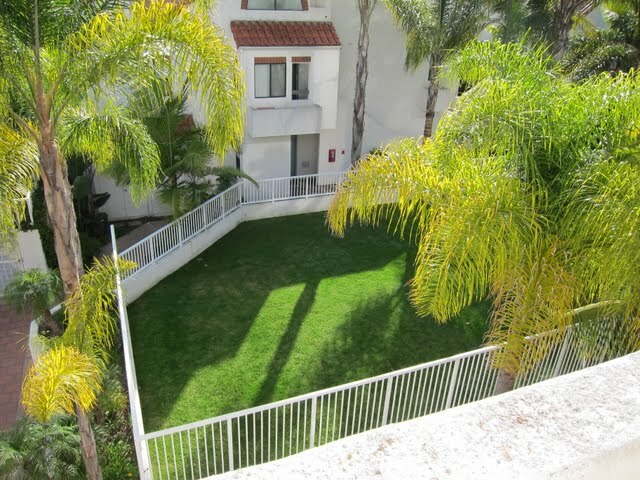 All include a patio area. 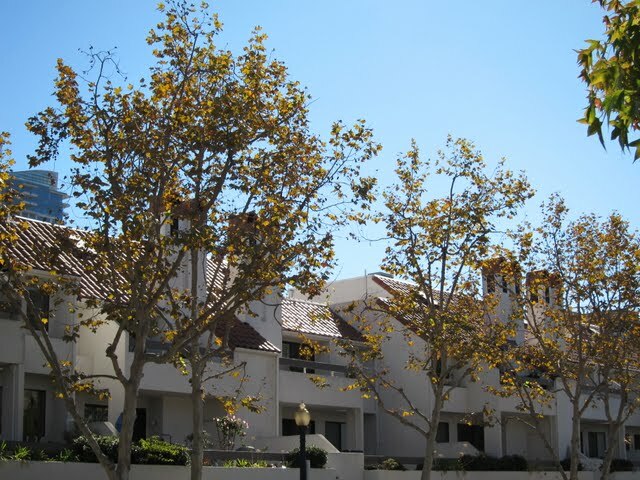 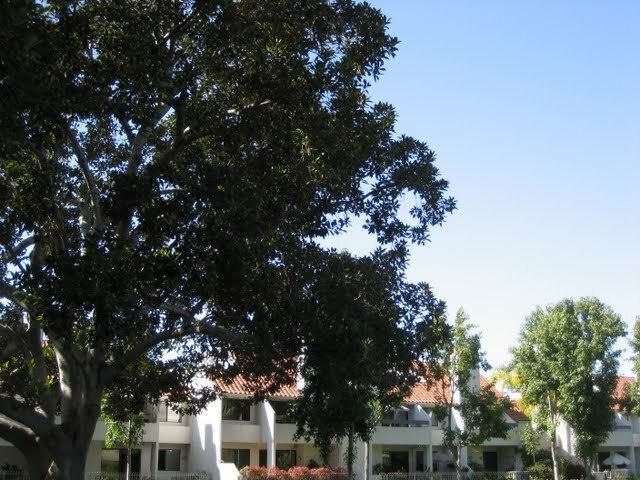 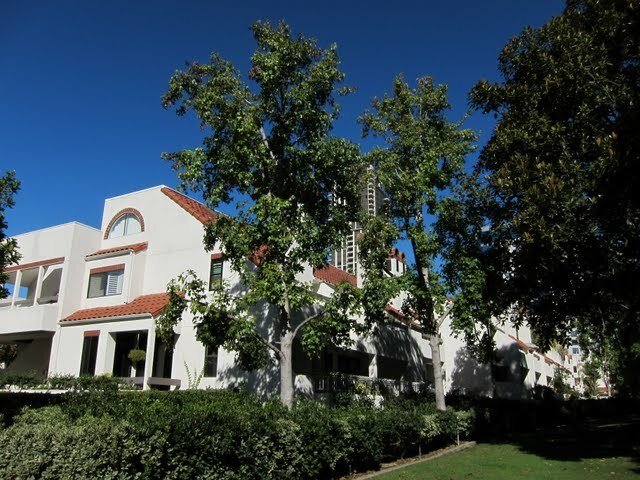 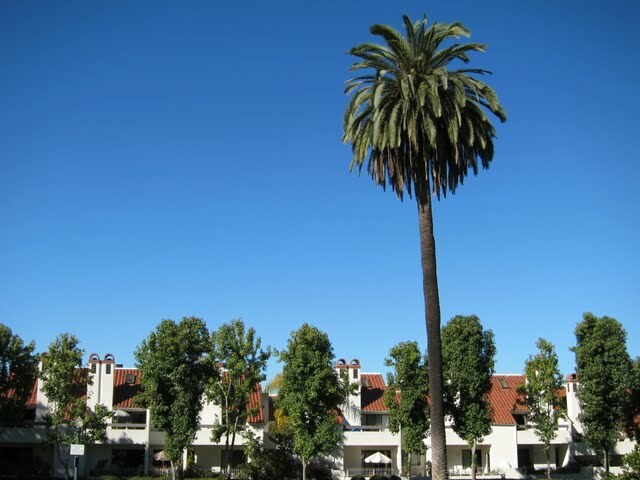 My favorite things about Park Row: Adjacent to Pantoja Park, lots of guest parking, vaulted ceilings, skylights, & lofts in top floor units, fireplaces, large patios, low HOA dues, easy access to The Headquarters, The Lion’s Share, and Dunkin’ Donuts!